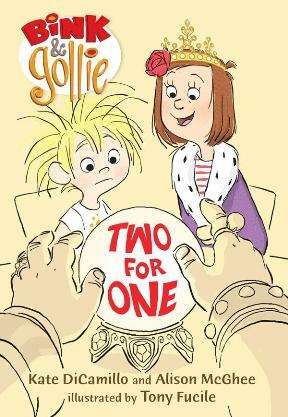 Is Bink & Gollie: Two For One The Perfect Book for a Kid Starting First Grade? This is pretty much what it felt like to drop our daughter off to first grade…. Before we get to Bink & Gollie, if you’ve been wondering if Building a Library was on hiatus, I totally understand. Things here at Library Headquarters have been beyond hectic now that my daughter has just begun FIRST GRADE, a big life milestone that (if I’m being honest) I’m still a little weepy about. The race up to the beginning of her school year was overwhelming with school supply shopping, orientation meetings, and desperate attempts to squeeze in a few final day trips to museums and zoos before first grade finally began. The weekend before school started, I took my daughter to a local bookstore and told her that, in celebration of her new school year, she could pick out ANY book she wanted. An hour and a half later, I almost regretted that decision. We looked at EVERYTHING. 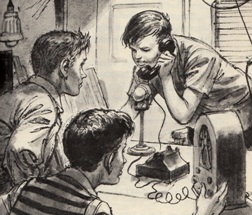 New books, old books, picture books, easy readers, chapter books, audiobooks. Yes, I did have to reiterate SEVERAL TIMES that the toys and stuffed animals in the children’s section did not, in fact, count as reading material and, thus, was not eligible to qualify as “any book you wanted”, but, on the whole, it was fun to watch my daughter browsing her head off, completely lost in the stacks trying to find the perfect book. 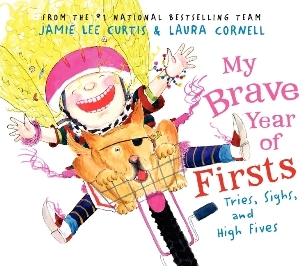 After trying to steer her towards some good-looking chapter books – she’s interested in Judy Moody, but won’t take the plunge yet – I spent twenty minutes advocating for My Brave Year of Firsts: Tries, Sighs, and High Fives, a new picture book by Jamie Lee Curtis and Laura Cornell. Even though I had been previously pushing for my daughter to pick a chapter book, I’ve written about my affection for Curtis and Cornell’s picture books in the past (I find them sentimental in all the right ways) and the book just seemed PERFECT for a kid about to start first grade. It’s all about a young girl taking the leap and trying a myriad of new things for the very first time. She starts first grade (perfect! ), she tries to ride her bike without training wheels (we’re doing that right now! ), she makes new friends (just like my kid! ), she helps her dad (I’m a dad! ), and her name is Frankie (my daughter is named Charley!). My Brave Year of Firsts is a fun, wonderfully illustrated rumination on the benefits of being brave and trying new things and, thematically, it couldn’t have been more perfect for my kid. So, of course, she didn’t pick it. Give a kid the power to pick out their own book and they will take full advantage of that privilege. 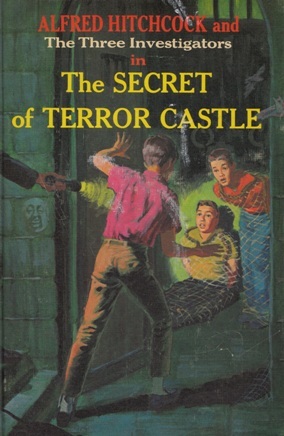 And, after I vetoed a few more toys and at least one Barbie book, I heard my daughter gasp in the stacks and come running towards me. 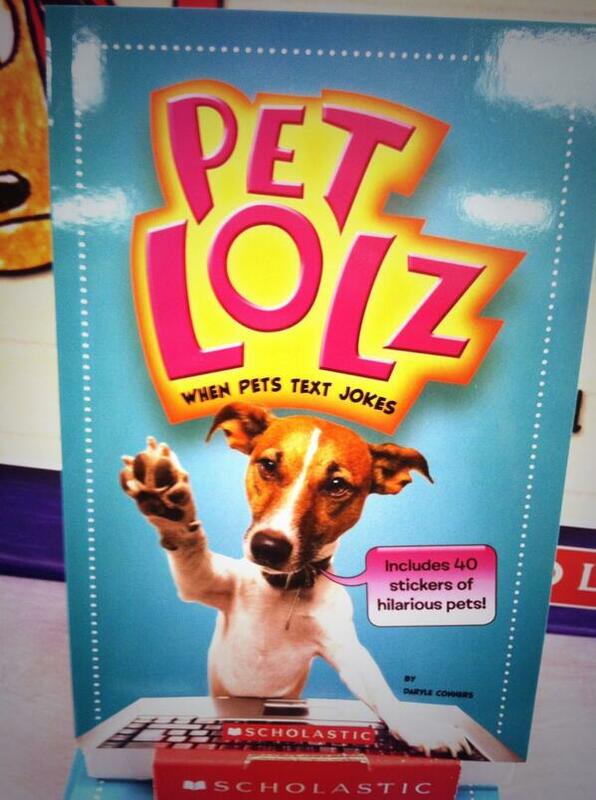 My kid could’ve picked ANY book in the store, but this is the one she wanted. 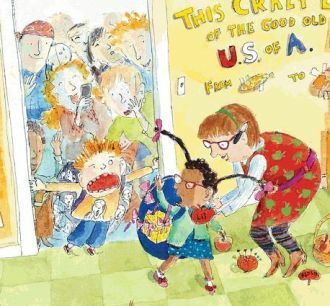 The book was Bink & Gollie: Two For One, by Kate DiCamillo and Alison McGhee with illustrations by Tony Fucile. It’s an illustrated early reader/chapter book hybrid, a sequel to the original Bink & Gollie, the New York Times bestseller and Theodor Seuss Geisel Award Winner, which happens to be one of my daughter’s favorite books. I love it when my daughter exhibits good taste.